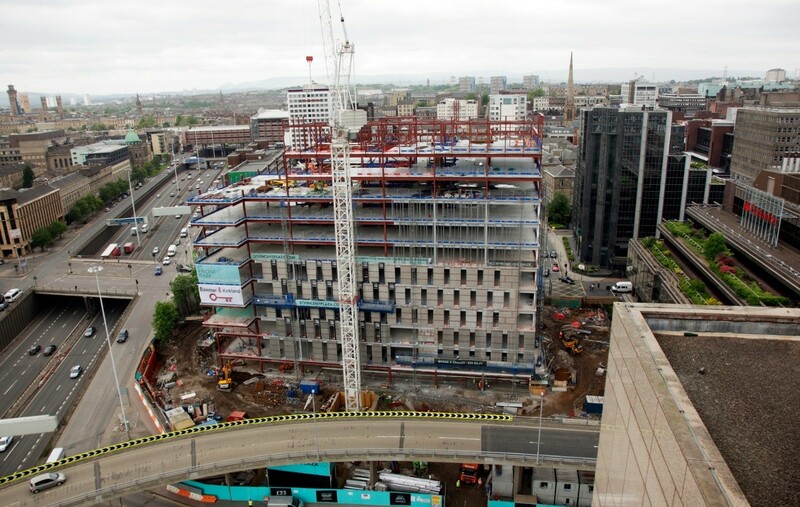 A topping out ceremony has been staged at St Vincent Plaza, Glasgow, to mark completion of structural steelwork at the £70m speculative office development. Work is now underway on the external envelope and cladding of the build to be followed by the internal framework and fit-out. Keppie Design worked as architects on the scheme alongside main contractor Bowmer & Kirkland on behalf of Abstract Developments. 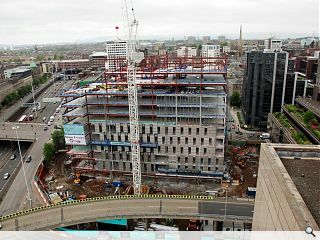 The project is pencilled in for completion by spring 2015 and will offer 170,000sq/ft of space to tenants over 11 floors. does anyone know how long the steel frame erection took place? from start to finish ??? just the steel frame construction.